A solid Russian SLR issued as a commemorative model for the 1980 Olympic Games. 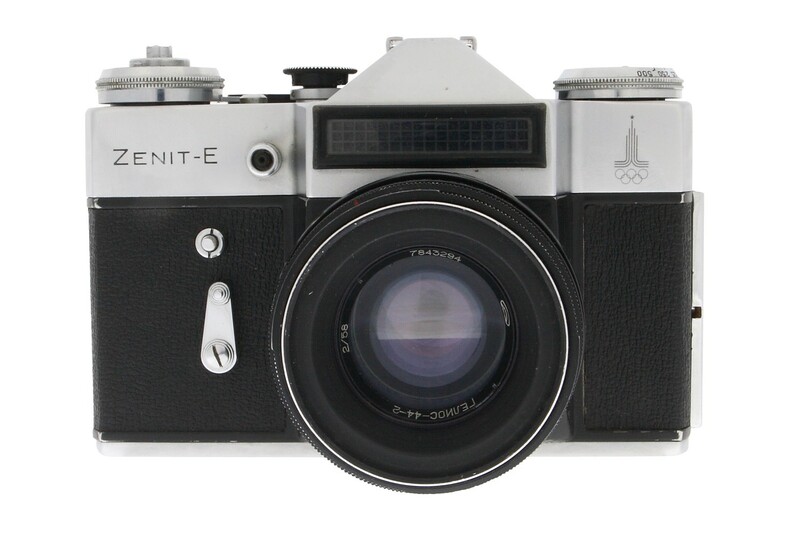 Commemorative Camera: This Zenit E Special Edition was created to promote the 1980 Olympic Games held in Moscow. Solid SLR: This camera boasts a rock-solid build that will stand almost any shooting condition and the passage of time. 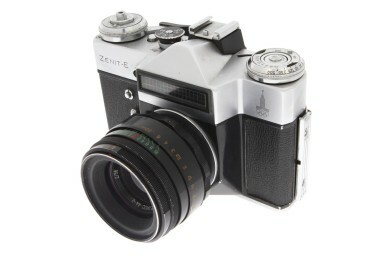 Helios-44-2 Lens: This camera comes with 58mm Helios 44-2 interchangeable lens, with apertures from f/2 to f/16. 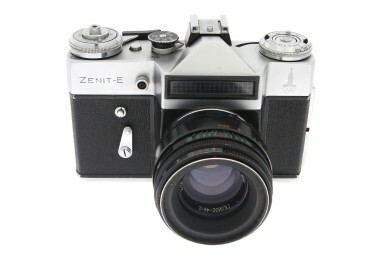 M42 Screw Mount: This camera is compatible with a lot of different lenses, making photographic experimentation a breeze! Reliable Viewfinder: The reflex viewfinder with ground glass focusing screen is a great aide in composing your shots. Light Meter: The camera’s built-in selenium light meter calculates light and allows you to set the aperture and shutter speed to achieve the perfect exposure. Self-timer: Simply activate the self-timer by pressing the small button in front of the camera above the self-timer setting lever.